Could Tim Tam be headed back to Australian ownership? 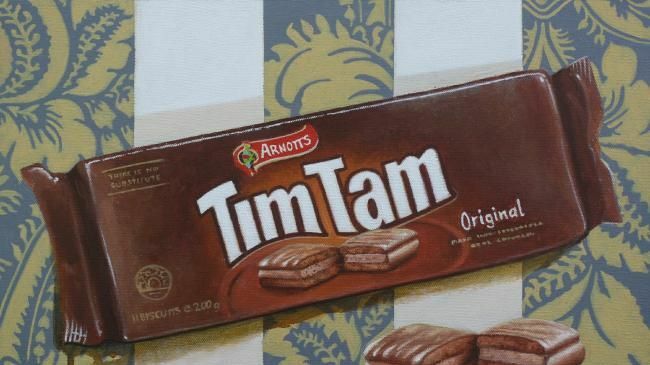 COULD Tim Tams, Mint Slices, Iced VoVos and Barbecue Shapes be about to return to Aussie ownership? Maybe - their US owner has put Arnott's biscuits up for sale. The sale comes 21 years after America's Campbell Soup swallowed one of the nation's most famous food brands in a deal that prompted disquiet among patriotic biscuit lovers. The move by Campbell's to now exit its international business is part of an overall strategy to cut costs by more $US945 million ($1.3 billion) by 2022 and pay down debt. The sale comes after a number of the nation's most famous food items have returned to Australian hands over the past two years. Arnott’s employs about 2400 people in Australia. 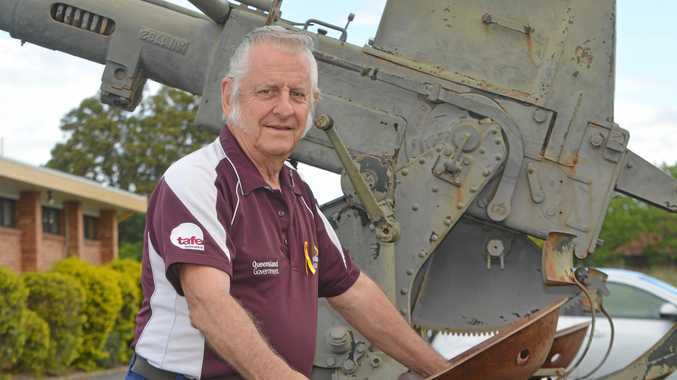 The Violet Crumble chocolate bar returned to local ownership at the start of the year when Adelaide-based Robern Menz - a fourth generation family-owned confectionery business - bought the brand from Swiss food goliath Nestlé. Robern Menz is investing $4 million in its factory to produce the chocolate and honeycomb treat and will hire 30 new workers. Dairy group Bega Cheese splashed out $460 million to buy Vegemite from the Australian arm of US-based snackfood titan Mondelez International last year. The deal returned the iconic spread to Australian ownership for the first time in more than 80 years. Life Saver lollies will also be made in Australia once again after Darrell Lea bought the brand from Nestle last month, although the confectionary favourite, which resembles a life preserver ring, was first created in the United States in 1912. 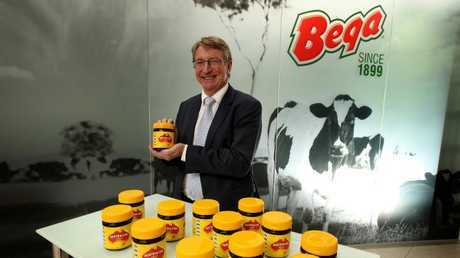 Bega boss Barry Irvin celebrates after striking a deal to buy Vegemite at the start of 2017. Picture: Stuart McEvoy. 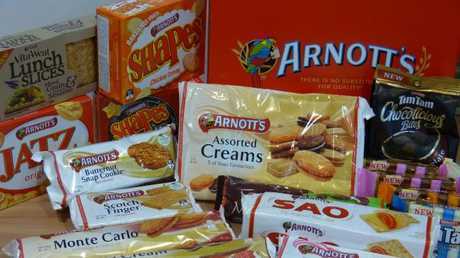 Sydney-based Arnott's employs about 2400 people in Australia, with more in New Zealand, Indonesia, Malaysia, Singapore and Japan. Campbell's has engaged investment banks Goldman Sachs and Centerview Partners to conduct the sale of its Campbell International unit, which includes Arnott's, and refrigerated good business Campbell Fresh. The two businesses together contributed approximately $US2.1 billion of sales in the past financial year. Campbell's interim president and chief executive Keith McLoughlin said the company had explored all options before deciding to divest the Arnott's business. "The board concluded that, at this time, the best path forward to drive shareholder value is to focus the company on two core businesses in the North American market with a proven consumer packaged goods business model," Mr McLoughlin said.